Is it Orange Red… or Red Orange? Let’s face it: the stakes are high when printing to large format output. If the colors are off, it’s a major expense. Not only in materials, but in time too. If the colors are a little off on a digital color copier, you adjust the hue in the file and print off another complete example in 120 seconds. Not true with large format… it’s tedious and expensive to experiment with hues. 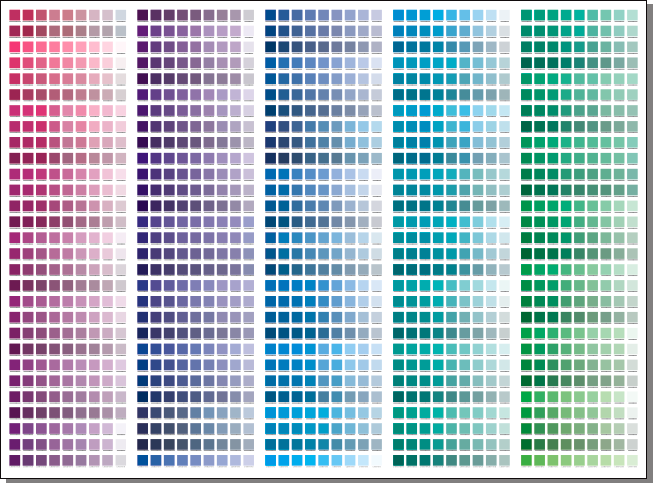 When you purchase this 3 page PDF file, you’ll get 100% vector output of all swatches and the generic CMYK value per swatch is shown. 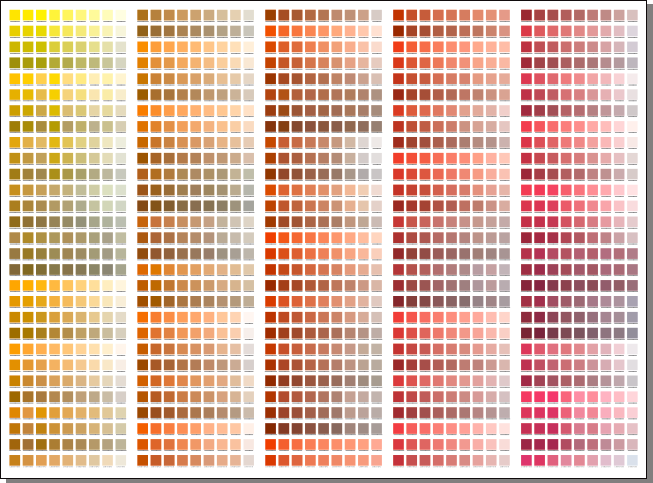 As you can see, this is a comprehensive swatch chart: more than three thousand swatches. 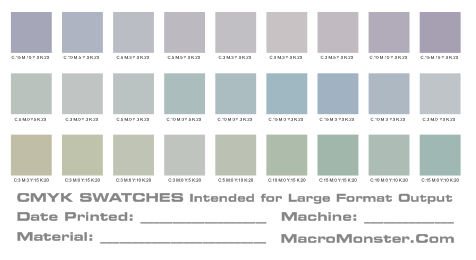 BONUS: one page is loaded with RGB swatches with RGB values underneath for those folks with 6+ color large format output devices. 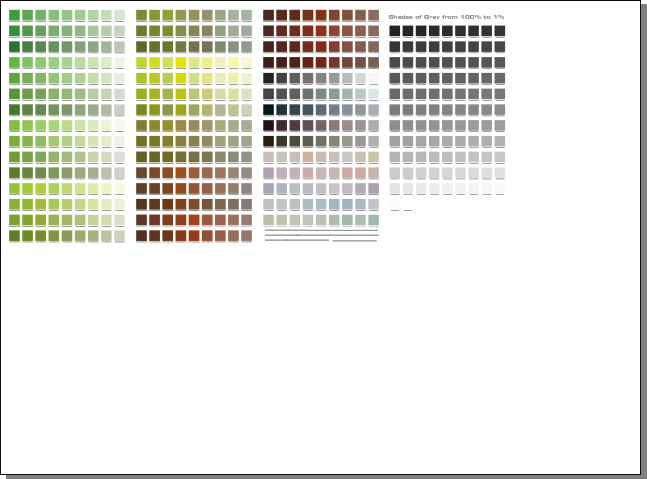 A unique thing about this PDF is that each page is 48″ wide by 35.5″ tall. It’s economical to print, and the sections are practical to manage for your shop. It’s ideal for hanging on the wall. When someone comes in and says: “I want my logo to be blue”, now you become a true color pro by working with the client to pick a specific CMYK hue. Or, match up their physical logo they’d brought in directly to the chart. Print the chart as often as you like, to as many different substrates as you want. Now you’re in control!